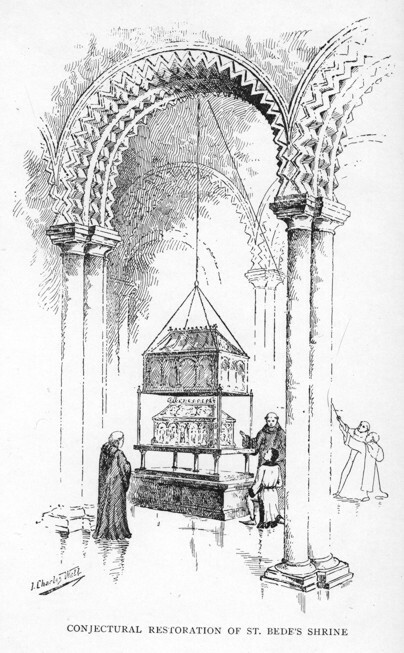 On this page you will find full text chapter links to J. Charles Wall's book Shrines of British Saints. Wall published the book through the Antiquaries Book Series in 1905. It is now in the public domain. I transcribed Wall's original text here. I am making my own notes available to you. As such, there may be transcribing errors, factual errors in the text, or historical points on which historians or theologians do not agree. Read it, use it, love it, hate it, on your own terms and at your own risk. Public Domain text transcribed and prepared "as is" for HTML and PDF by Richenda Fairhurst, historyfish.net. February 2008. No commercial permissions of this transcription are granted. Text may contain errors. General Editor: J. Charles Cox., L.L.D., F.S.A.